Locomotive Circuit Breaker Analyser – Crest Test Systems Pvt. 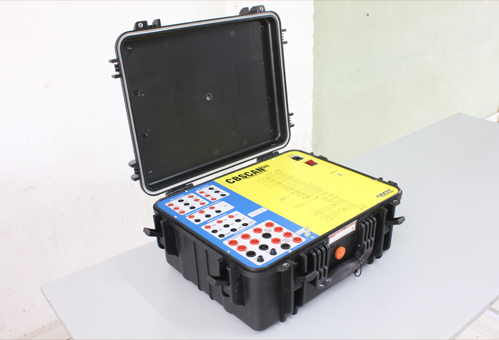 Ltd.
CBScan Locomotive Circuit Breaker Analyser is a compact and portable analyser used for testing 25 kV medium voltage circuit breakers that are used in electric locomotives for protection from the frequently occurring short-circuits in the overhead catenary system. The analyser is ideal for railway yards for performing periodic maintenance checks. To ensure portability, an external laptop is required to run the test software. The power supplies required by the coils and motors are also external. CBScan is used for performing routine tests on vacuum circuit breakers or SF6 gas circuit breakers that are commonly used for railway traction applications as per suitable standards. Some older systems may consist of air blast circuit breakers, which can also be tested using CBScan. 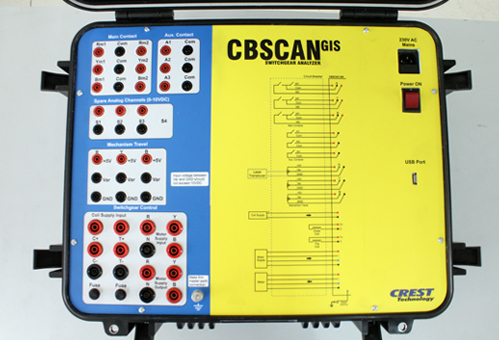 CBScan performs standard tests, such as coil and motor current analysis, contact timing measurements, and travel and speed measurements.